Kinda disappointed in what I was able to see so far :(. I was looking for better Shifter love but it looks like the class 1.0 class is left to be reduced to the heap. Wasnt there supposed to be a dragon aspect? I am looking for it and cant seem to find it. I have done a document search and not finding much on the Shifter. I’m really curious about three archetypes, if anybody can share some general info! The flower witch, the dragon shifter, and the fey shifter. 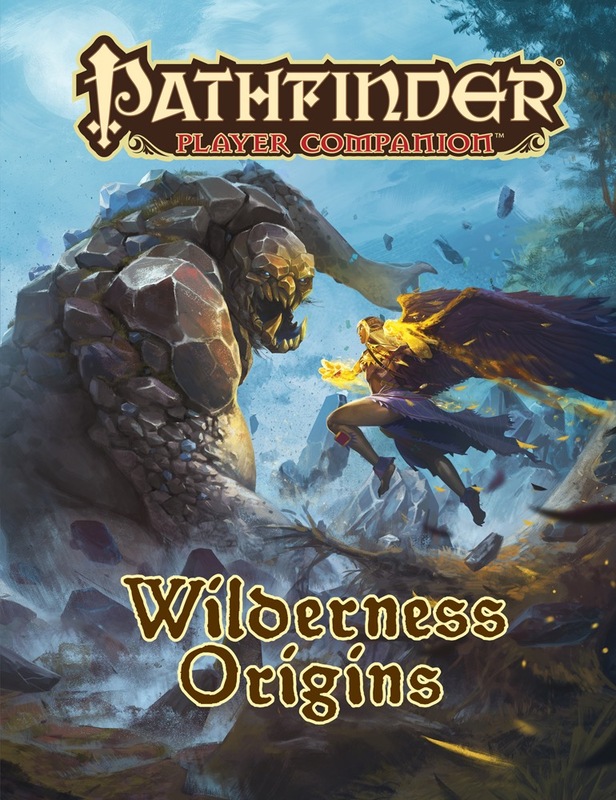 According to the product description, there are supposed to be dragon and fey related archetypes (not aspects) for the Shifter class. No enumeration of the new aspects is given there. So what archetypes does this book have in it? There is nothing I can find, so far, about dragons or the new animals aspects. I am not happy with this. Oh wow... uh, silly question, but are all the page numbers accounted for? I'm still waiting to get my PDF but this sounds concerning. I do have to ask if the Kami Spiritualist stuff is there as I was really looking forward to that. The dragon and fey archetypes are not bad though I am disappointed that none of them give the option for charisma instead of wisdom for AC. 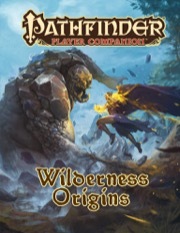 Dragon shifter archetype goes up to Form of the Dragon II while the fey one goes up to fey form IV for their wildshape. New aspects include boar, crocodile, dolphin, dragonfly, electric eel, mantis, octopus, scorpion, and spider. though still not shark:( but interesting choices none the less. Dragonblood Shifter is on page 5. Feyform Shifter is on page 6-7. New shifter aspects are on pages 4-5. There's also a list of alternate natural attacks available in place of the claws granted by shifter claws based on what animal aspect(s) you use on page 8. Kami eidolon is on page 18, as is the Ward Spiritualist spiritualist archetype that gains a kami phantom. While I'm willing to believe maybe something got cut and forgot to be cut from the description, you just named 4 archetypes that already exist, which are rarely, if ever, reprinted in books at all? Why did you do that? Those are all from Heroes of the Wild. It seems like perhaps someone is looking at the wrong PDF. There are some interesting kineticist wild talents (mostly for fire). Not that I have been able to find. Yikes, my bad. I am sorry for the misleading information. There is one that forces a target to the plane that you get your power from, a fire one that neutralizes poison, fire one that makes a path through fire/lava, 3 fire ones that focus on enhancing a mount, etc. But nothing that helps you get past fire immunity ? Anything that helps the Ooze Morph ? Gotta say, the fey Shifter archetype is pretty awesome! So, first of all, your aspect is a special fey one. It grants you a little DR/cold iron, concealment (can't stealth with it), and low-light vision that upgrades existing LLV to darkvision. The DR is gonna scale slowly as you level. At 5th level, though, it grants flight. You're a martial with built-in swift-action flight for 3 + level minutes per day. Oh, and you get the entire Fey Form lineup one level before the Druid does, but one minute per use spent. You eventually get weak minor animal aspects at the same time as the fey minor aspect. It makes you a weapons-based martial with flight, a miss chance, and early access to the fey form lineup. On top of that, though, you still get a couple animal forms and minor aspects that don't advance. Oh man, I love this familiar archetype. Parasite familiars can burrow into other creatures, and eventually attempt to control them. Possessing fox spirit or mind worm? Your call! All right, here's some cool stuff I liked. You can finally combine major aspects as a Shifter! It's a late-game option, taking two feats. The first feat is really good earlier on, though. Feats for weapon synergy on Shifter. It's pretty cool- you can use a reach weapon to give your wildshape natural attacks the reach weapon property, for instance. Free alternate natural attacks. For instance, if you've got a wolf aspect, you can choose to get a bite attack instead of one of your claw attacks. No cost, it's just a free upgrade to Shifter. Feat for bleed damage on most of Shifter's natural weapons. Leshy's can grow through keyholes, etc. to do spying, and have a feat for Lesser Restoration, making them good replacements for Cleric-style casters. Witches get a hex for bonus natural armor on themselves and their familiar, with free Endure Elements. It seems a little strong… but on the other hand, Witches are one of the worst classes defensively, so they could use it. Ward Spiritualist is a more casting-focused Spiritualist- you get an Occultist implement with a small pool of focus. There's a feat to get vermin or plant companions, and vermin companions can take an archetype to start with 2 Int. The familiar archetypes are all gold. - Arcane Amplifier gets free metamagic on delivered touch spells. - Occult Messenger grants Psychic Sensitivity to its master and grants a solid bonus on the occult skill unlocks. - Parasite burrows into people and seizes control. There's an animal companion feat that improves the attitude of similar animals considerably towards both it and its master. Seriously great flavor, and with low investment. Have a pet wolf? Dogs all love you! There's a feat to make your familiar a shapeshifter, or to let them turn into a person. And finally a feat to let your animal companion speak! That one's cool; it eventually upgrades to Improved Familiar if you want. The more that I look at the book th4 more I love it. Greetings all and sundry! Mikhail Rekun here, I wrote the familiar and animal companion sections. I might have made some manner of feral sound when Luis offered me a chance to write it. I'm glad to see people like those sections so far. Some random thoughts, keeping in mind that this is me in my 'Private Citizen' hat and I don't actually have my copy yet. <> I really, really wanted to add ostriches to the list of animal companions/mounts, but alas there are no ostriches in any hardcover books. I shall carry this regret to my grave. <> Something that might not be immediately obvious about the talking-familiar feat is that it makes it semi-official that your un-Improved Familiar is also your Improved Familiar, albeit in a new body (I say semi-official because I don't believe there are any formal rules about this). You play with Mittens the Cat Familiar for seven levels, you want to get a shiny new Silvanshee Agathion Improved Familiar, but you can't just throw Mittens aside. It's Mittens! You two go way back! Most GMs I've had would let you finagle something for roleplaying purposes, but this makes it a bit more official. And jumping off Mikhail’s point a bit, I wrote the verdivant’s (vine leshy cavalier archetype) plant mount ability such that it should be easy to grow yourself a new pal if you take something like the Monstrous Mount feat! What about wildflower magic and other witchy things? I think I am really looking forward to the material for familiars. Too bad I won't see it before Tuesday at the earliest, since Monday is a holiday. Hi all! Name's Sasha Lindley Hall. Jumping off of Mikhail and Andrew's points, I wrote the section on kami - "Wardens of the Wild" - and I'm really proud of what I got done! I'm glad people are liking the ward spiritualist, as that was really a bit I had a lot of fun writing. Also, mostly-unrelatedly, I love the art on page 5! It looks so great. So wait, Quid said there's a feat to let your Animal Companion speak, but then immediately says it eventually upgrades to Improved Familiar? Safe to assume this is just referring to familiars as your "animal companions", and my dream of combining animal companion and familiar features into one creature is remaining unrealized? Crossed some wires while writing that up. It lets your familiar speak. Sorry for the confusion. They need to hit DC 10 swim before they roll a 5 or less (only then do they actually go underwater), and they've generally got a minute or two of activity to try to resolve that if it happens before Con checks start. That seems like a sporting chance, even for the wizard. I want to do the dragon shifter soon! I like some of the feats especially for my hunter. What cool options did Leshy PCs get? Never getting form of the dragon 3 is rough tbh. Do they have an option of exotic or alien dragon form? Exotic seems like it would fit their flavor much more, since the primal are more nature tied. No mention of exotic or alien dragons. what options does the gathlain get?